With the tournament proper of the World T20 beginning this week, we look back on the previous five editions of the World T20 and pick five unforgettable moments from the showpiece event of cricket’s shortest and youngest format. Yuvraj Singh set the inaugural World T20 ablaze as the dashing left-hander smashed England fast bowler Stuart Broad for six sixes in an over. Yuvraj pounded the young pacer to all corners of Kingsmead Stadium in Durban as he raced away to a fifty in just 12 balls, still the record for the fastest half-century. The interesting story behind what drove Yuvraj is that he and Andrew Flintoff shared a rather heated conversation before that over and Yuvraj confesses that it was Flintoff’s provocation which spurred him and he unleashed it on poor Broad. 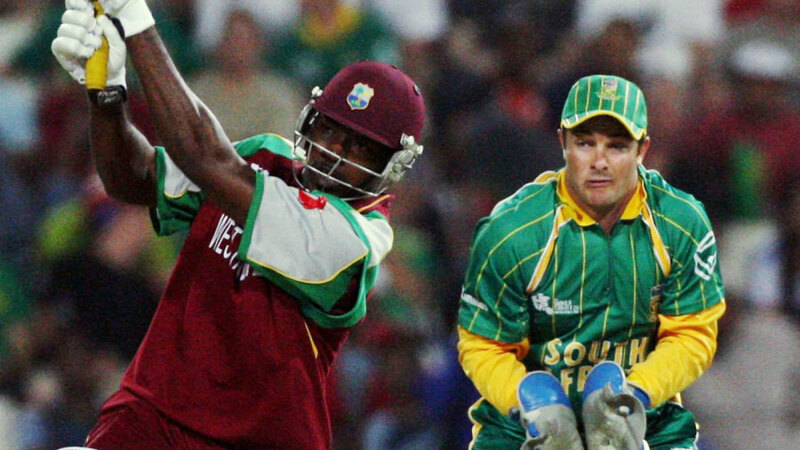 Chris Gayle gave the World T20 phenomenon the best possible start as the West Indies opener smashed 117 off 57 balls against South Africa at Johannesburg. He brought up his half-century from just 26 balls and his next 50 was marginally quicker, off 25 balls, and he hit a total of 10 sixes in a superb display of power-hitting. Gayle hammered the likes of Pollock, Ntini and Albie Morkel to all parts of the ground and riding on Gayle’s monstrous innings, West Indies posted a total of 205 for 6. But South Africa ensured the World T20 got off to a thrilling start by chasing down the total thanks to Herschelle Gibbs’ unbeaten 90. Cometh the hour, cometh the man as they say. Australia needed an improbable 87 off 7 overs when Mr. Cricket came out to bat and the southpaw pummeled the Pakistan bowling on his way to a freakish 60 in just 24 deliveries to take Australia home when they had no right to win the match from that situation. 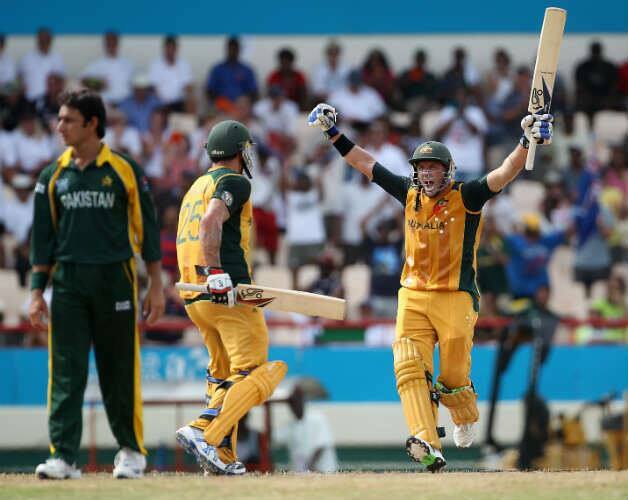 Needing 18 runs off the last over, Hussey hit the in-form Saeed Ajmal for three sixes to clinch the match for Australia and take them to 2010 World T20 final. Pakistan pacer Umer Gul kept Pakistan in the 2009 World T20 with an incredible display of fast bowling against New Zealand in the Super 8 stage. Gul picked up 5 wickets as New Zealand were bowled out for 99. Gul produced a masterclass in death bowling as he reversed a 12-over old ball and became the first bowler to pick up a 5 wicket haul in T20 internationals. Pakistan went on to win the match and eventually the tournament. There is nothing like an exhilarating last ball finish, but it gets even better if the underdogs come away with the victory. Netherlands, needing 163 for the win, were reeling at 66 for 3 when two Dutch stalwarts Tom de Grooth and Peter Borren put on a partnership that took Netherlands to within touching distance of the target – 17 needed off 12 balls. And it was Edgar Schiferli and Ryan ten Doeschate who took the Dutch home in a thrilling climax at Lords. Late sleeper. Coffee drinker. Bathroom thinker. Overrated club cricketer back in the day. Manchester United fan, having a man crush on David Beckham.